Will West Ham Set A Lack Of Possession Record Against Manchester City? As a schoolboy I used to spend my Sunday’s checking coupons for Zetter’s Pools as a way of supporting my extravagant lifestyle; following West Ham, watching live bands at Dagenham Roundhouse and drinking light and bitter. The pools was not just about Treble Chance and score draws and punters were also able to seek their fortune by predicting five matches that were likely to result in away wins. If anyone had been looking for an away banker from this weekend’s matches then they wouldn’t need to look much further than the uneven contest scheduled to be played out at the London Stadium on Sunday afternoon. The rationale for drinking light and bitter back then was that in the days before electronic measures (and with the assistance of a friendly barmaid) you could end up with close to a pint and a half for your two shilling’s worth. 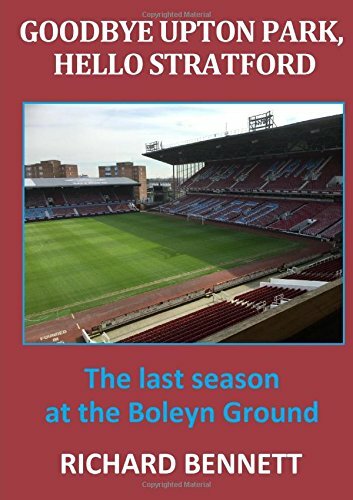 It seemed like a bargain (it probably wasn’t) but for a cheapskate it ticked all the boxes in the same way that the West Ham board approach the business of football – cheap and cheerful at the expense of quality and class. The Hammers are the light and bitter to Manchester City’s cellar of fine wine. They are the Zetters to City’s Littlewoods – for people who can’t really afford to compete and who wouldn’t win anything worthwhile anyway. Without doubt today’s visitors are worthy champions and manager Pep Guardiola has (at great expense) assembled a fine team that plays attractive and inventive football. I can’t help feeling, however, that managing is rather more straightforward where money is no object; where if you sign a few £50 million duds (normally the English ones) you simply throw them away and sign some more. The inequality caused by money is slowly but surely ruining the game for the regular paying customer and City are the worst of the current culprits. Being owned by a small middle eastern country with a questionable record on human rights just plain seems wrong but it is amazing how a blind eye can be turned when money is involved and it is in one’s own interests. Maybe I would be just the same if it were to happen at West Ham and perhaps the Supreme Leader will be wanting to invest a few billion in a Premier League club now that he is making overtures to rejoin the international community. By the time our game kicks off on Sunday the Hammers could have slipped to fourth from bottom just three points outside the bottom three. By the end of the weekend we cannot have sunk any lower but there is a good chance that goal difference could be considerably worse if recent encounters with City are anything to go by. Victories over City are rarer than a blue moon with the Hammers winning just two of their last twelve home games against the visitors; in 2009 and 2014. We can but hope that past performance is no guarantee of future results. With the news of Abba reforming after 35 years I wonder if there is any possibility of including Brooking and Devonshire in tomorrow’s starting eleven? Could they do any worse? I have read that David Moyes has been using training sessions to teach the West Ham players how to play without the ball. It seems to me that we have already had plenty of practice with that during the course of the season. Time might have been better spent on practising not giving the ball immediately back to the opposition once possession has been gained. I don’t see many changes in lineup (apart from Adrain returning in goal in place of the ineligible Joe Hart) from that which tried hard but were ultimately left wanting at Arsenal last week. It will be painful to watch Mark Noble and Cheikhou Kouyate floundering against City’s quick and slick midfield interplay. Making his fourth Hammers appearance of the season is Neil Swarbrick from Lancashire, near Manchester. His previous associations saw West Ham defeats away at Newcastle and home to Liverpool plus the home draw with Palace. In 23 games this season he has shown 65 yellow cards but has yet to see red. Reinforcing the banker away win claims, Lawro says 2-0 to City while Merson plumps for 4-0 to the visitors. The most desperate of straw clutching leads us to the hope that City might take their foot off the pedal now that the league title is sewn up – a shame that they are still not playing in Europe. Damage limitation will be the name of the game and, given that we do normally score in a game, I am predicting a 1-4 away win. Naturally, I am hopeful that I will be sensationally wrong. The games played elsewhere this weekend are likely to have more bearing on the potential for survival than our own game. Previous Previous post: West Ham Prepare To Poop The Wenger Boys Farewell Party?